Camp NaNoWriMo | I’m Taking Part! Last November, I felt like I turned a corner with my writing and NaNoWriMo as a whole. No, I did not “win” that time, as I did not get to the hallowed 50,000 words, but I did work on my intended story for 30 days and got pretty damn close to the word count too at the end of the month. Personally, I’d call that its own sort of “win”. NaNoWriMo is a great setup for me – you don’t really have time to stop and thing and worry about the direction you’re going to take your story in. For someone with indecision, NaNoWriMo forces you to break the cycle you can so often fall into. I’d tried many a previous year and never got very far into NaNoWriMo before giving up but 2018 seems to be the year I cracked it and it was principally because I was working on a relatively simple contemporary story that was full of tropes that I love. It didn’t require masterful world-building or plotting to within an inch of its life which meant that I didn’t feel the pressure to prep everything in October. Instead, I could just pop a few things on a Pinterest board and call it good, meaning I wasn’t prepped out and sick of my project by the time November rolled around. All that being said, as much as I loved my little contemporary story, next NaNoWriMo I do want to give a proper crack at one of the more complicated fantasy stories that I have floating around in my brain – and strewn over Pinterest boards and Google Docs files! To do that, I need to prep. There’s no two ways about it. The couple of story ideas I have need world-building and they need plotting, properly this time, not flying by the seat of my pants one November. Since I’ve worked out from experience that preparing in October burns me out on my story idea before I’ve even started, I thought I’d instead do some (much needed) prep work on these ideas earlier in the year. Enter: Camp NaNoWriMo! My goal for April’s Camp NaNoWriMo isn’t a specific amount of words. It’s not quite as tangible as that, even though I know the way to success is to set a quantifiable goal. Mostly I want to properly work on building my ideas from mere whims to actual stories capable of being written half-decently during November 2019. Therefore I’ve decided to set myself a time goal: I want to work on my novel ideas, in some form, for 30 hours during April – basically, an hour a day. I’m not going to lie, I’m not likely to get to an hour a day on a week day because work is a thing, but I’m hoping to catch up on weekends if I find myself flagging during the week. The main goal is that, by the end of April, I want to feel like I have a clearer picture of what these ideas could look like as novels. Whether that means working on character building, narrative voice, world building, plotting out a structure, or just doing a hell of a lot of historical research about the time period I intend to set my story in – I don’t mind, so long as I’m popping more ingredients into the proverbial pot of my story ideas so it can bubble away until November! Are you taking part in next month’s Camp NaNoWriMo? If so, let me know in the comments and we can help cheer each other on in April! Or, if you’re a writer, let me know your best tips for fleshing out an idea into a serviceable novel! If you’re taking part in NaNoWriMo and you’re looking for a cabin, let me know too, because there’s likely space in mine, if you’re interested! You may have noticed my entire lack of blog posts after Monday of last week and there is one very good reason for this: NaNoWriMo. It turns out that, when I properly give writing a novel a go, it takes up most of my brain energy that I have left after work… and there’s barely any of that left as it is. I’ve been trying to read a little bit for Tome Topple too which means that writing has proved to be something of a struggle in this past week. It’s not that I never have time, it’s that bedtime always seems to come too quickly, and I feel like I haven’t written anywhere near enough words for NaNoWriMo in any given day. I also flagged majorly between Thursday and Saturday as it was getting to the end of the week and I was just mentally a bit drained so that definitely affected my word count. As far as the project itself goes, I’ve pretty much not touched the “secret royal story” which I’d dubbed A Sovereign Remedy on its Pinterest board. In fact, it’s only really got as far as said Pinterest board and a few scattered snippets of scenes. But I’m ok with that, because I’ve been enjoying writing on my other story which I dubbed The Show Must Go On for the sake of Pinterest board naming. This one has got further than a Pinterest board, largely because it is a huge tropey fluff fest telling the tale of a playwright and an actress who’s trying to prove her worth in a slightly prejudiced theatre world that thinks she can barely act. I tried to take it easy on myself with this year’s project and I have to say that I’ve had so much fun writing The Show Must Go On. It’s nowhere near being finished, the plot isn’t tight enough, the structure leaves a lot to be desired, and I’m pretty sure I’m telling rather than showing but, hey, that’s all ok.
It’s ok because I finally broke 30k. 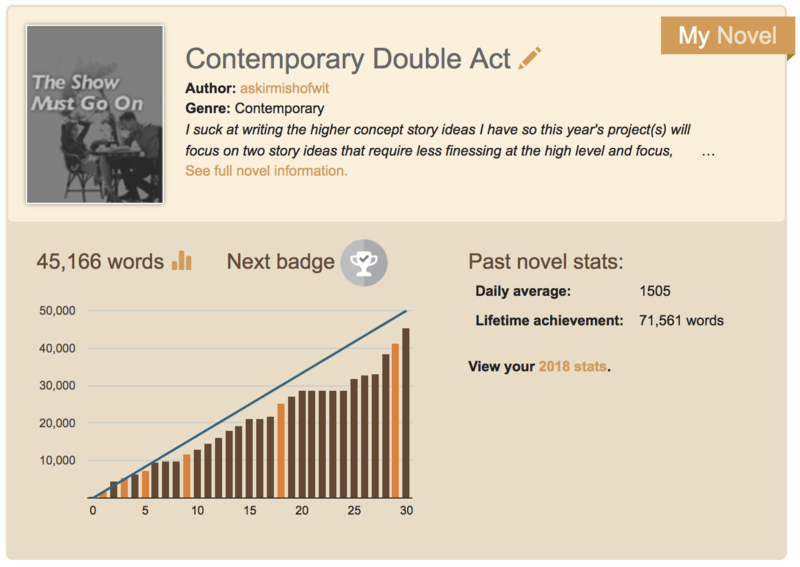 That may be a mere 60% of the way towards the intended monthly goal to write 50,000 words of a novel but I’m strangely proud of myself precisely because in past years I’ve never managed to stick with NaNoWriMo for so long, or to reach anywhere close to that amount of words of writing. I’m not a writer, but NaNo always makes me think that maybe (just maybe) I could give it a go, at least once a year, without having to make any kind of major life changes or changes to my routine. NaNo makes writing a 50,000 word book seem achievable. And I’m part of the way there, I hit 30k, and I really need to be better about stopping and acknowledging that fact because it’s so easy to focus on being “behind” but, at the end of the day, you still have 30,000 more words of a story than you had on 31st October. As it stands now, I’m so far behind on the projected schedule for NaNoWriMo that I’d have to write over double of the intended daily word count every day just to “finish” on time. That’s patently not going to happen, especially considering we don’t have a weekend left in which I could rack up some major word counts due to being off work. Do I give in and accept that it’s not going to happen? Or do I really work at it in these remaining days in order to try to get as close to that sweet, sweet 50k as possible? Are you participating in NaNoWriMo? How is it going? Are you feeling good about the project you’re working on? Let’s chat writing in the comments! Today I bring you the second of my reports on how NaNoWriMo 2018 is going thus far. If you have no idea what I’m blathering on about, then please do check out my week one progress report or my initial post explaining my approach to NaNoWriMo this year. In my last progress report I mentioned that, as is often the case, I struggle to plot scenes and trajectories in any stories I write because it requires me to make a decision on an action that will lead to a consequence. In my last post I said that this was why I always struggled with NaNo and I also said that I wanted to force myself to sit down and plot even this relatively fluffy, tropey novel I’m writing because then I’d be able to transfer this technique to more complex and demanding plots that I have percolating in my head. However, I think that was a bad call to use the word “force”. You see, personally speaking, I’m bad at making decisions generally in life, because for so many years I didn’t really have to or need to, someone else made them for me. (This is a wholeeeee other post in and of itself, I’m sure!) The point is that this definitely has an (largely negative) impact on my writing too. In this first half of November, however, I’ve been trying not to dwell too much on this aspect of myself. It’s not a part of my personality that is going to change overnight, and it’s probably something that requires more time and experience to conquer, so I’m just trying my best to make it to little goals here and there throughout NaNoWriMo. So, no, I’m not on-track with my word count. I’m a little shy of 20,000 words when, at the time of writing, I should be at 25,000 words. But, do you know what? I’m ok with that. I don’t feel like I’m failing NaNoWriMo which is… it’s a new feeling for me. I’ve participated in NaNo for 4 years, and I have never succeeded in getting past 10,000 words on whatever project I was working on. The fact that I’m finally able to break this streak and write 20,000 words on a project that, sure, isn’t the most complicated thing ever but does contain scenes where I’ve had to make decisions about plot points and character traits? That’s huge for me, even if it might seem like the most basic building block of any good story. It feels like it could be the first small step to maybe being able to persuade myself that I do have at least one story inside me waiting to be told. It feels like maybe I could write, if I put my mind to it. It feels like I have the chance to be a writer even though for so long I thought my complete inability (allegedly) to make decisions would render it an impossible ask. So, yes I’m “behind” with NaNoWriMo right now… but I’m more than ok with that. Are you participating in NaNoWriMo this year or have you participated before? What are you writing about at the moment? Let’s chat in the comments! 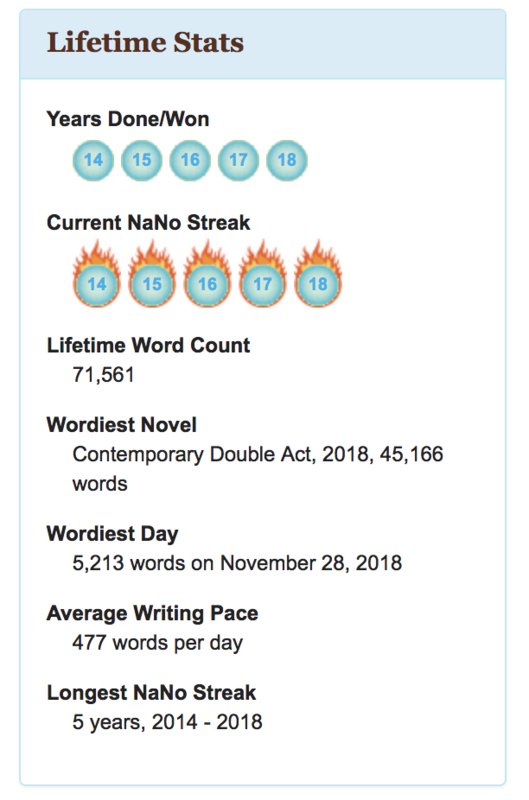 Today I bring you a (slightly belated) recap, a progress post if you will, of how NaNoWriMo has been going during week one. As you may have seen, I decided this year to firmly give up the ghost of trying to write a novel I’ve been trying to write for the past three NaNos: The Upper Deep. Based initially in a steampunk, revised to a gaslamp, fantasy world, The Upper Deep was inspired by Tennyson’s ‘The Kraken’, Elizabeth Gaskell’s North and South, and the film Stardust with a sprinkle of the aesthetic, the action, and the humour Sherlock Holmes (as directed by Guy Ritchie) and the film Van Helsing. The problem with this story idea is that I have the overarching concept, and I have the characters and their motivations and relationships, but I struggle to work out all the plot points and scene I need to write in order to tell the story I want to. I’m a very indecisive person (as I’ve much discussed on here) and I haven’t yet found a plotting strategy that will help me to make decisions easily enough to settle on my plot trajectory and the scenes I need to write. This has happened too with another novel idea I’ve been toying with in the past few weeks, a genderbent Hades and Persephone retelling I’ve been calling Half goddess, half hell. When I say “toying with” I really do mean that. I’ve been randomly writing scenes here and there and I’m not sure how any of these will fit together at all, or whether they’d even make it into any version of an actual manuscript of this novel idea. But I have my characters and I know their voices, so there’s that at least. Folks, it’s that time of year again: when writers all across the world come together to attempt the challenge that is National Novel Writing Month, namely writing 50,000 words in the month of November. I’ve participated in previous years, to varying degrees of success, as this blog will attest if you care to delve into the NaNoWriMo archives. 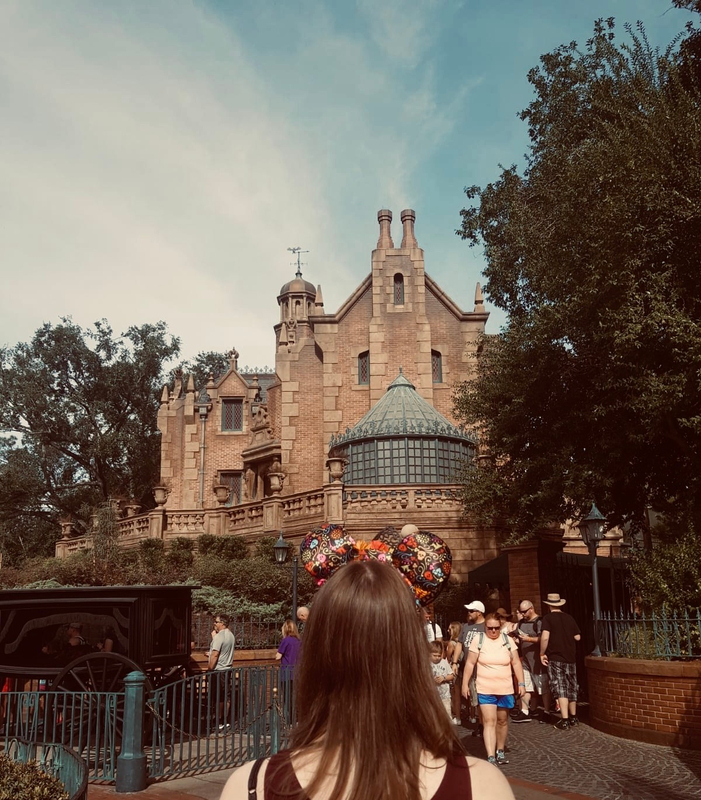 All along I’ve thought that NaNoWriMo would definitely not be happening for me in 2018 because I only went and booked a holiday to Disney World slap bang over the start of it – whoops? However, the more and more I’ve thought about it (and talked about writing with housemate Liz), the more and more I’ve thought maybe this year I should participate as normal, even with the holiday shenanigans, because who knows maybe a change of scenery will do my shoddy writing attempts the world of good? It’s worth a shot. So, this year I will be participating in NaNoWriMo but I may very well be taking an unconventional (and possibly slightly dubious) approach to the challenge to write 50,000 words. I am not intending to write 50,000 words of a novel – I am attempting to just get out 50,000 words of any story, to prove to myself that I can actually write consistently and to that volume. In previous years I’ve ended up abandoning the challenge well before the mid-point of the month, largely because my love for the idea I had had just ran out of steam or I’d reached a point of no return where I had to make a decision about where the plot was going to go and I panicked, couldn’t make the decision, and so bailed entirely on the project. I don’t know if you recall from my NaNoWriMo 2017 post, but I fully intended to participate in this year’s National Novel Writing Month by using the time to plan (and I mean properly plan and plot) my novel which I’ve been trying (unsuccessfully) to write for the past couple of years/NaNoWriMos. Sitting somewhere between gaslamp fantasy and steampunk, it’s set in a Victorian-era London and focuses around mining and the dangers of the technology which was being developed amidst the setting of the Industrial Revolution. And there’s also a flying galleon, because duh. Oh and there’s magic… and a Kraken that people are scared of… naturally. Unfortunately, unlike the savvy writers out there, I didn’t plan in October (no Preptober of any kind happened), and this affected my 2017 NaNoWriMo before it had even started. I actually made the conscious decision, going into November, that I wouldn’t “do NaNoWriMo properly”, but rather focus instead on plotting and planning and developing my novel, rather than worrying about writing actual continuous prose. I downloaded prep resources and watched many a Preptober video to get me in the mood for my slightly altered NaNoWriMo attempt. Well, I hate to sound like a broken record but, guys, I failed once again. I can’t say I’m surprised by this point. I’m not even disappointed in myself. Because me failing NaNoWriMo seems like a foregone conclusion, even when I’m barely “doing NaNoWriMo” “properly”. For full disclosure of just how badly I failed, take a look at my not-so-regularly updated Twitter thread which charts my waning interest in anything to do with NaNoWriMo. Yes, I only made it to 6th November aka Day 6 (yep, we were still in single figures) when I dropped off the Twitter radar as far as NaNoWriMo was concerned. I ended up having a pretty great reading month, but that’s by the by. By all accounts, I failed NaNoWriMo… and quite spectacularly at that. I confirmed my sneaking suspicion that my novel, in fact, errs more on the side of gaslamp fantasy rather than steampunk. I decided to make it an alternate-history – it’s set in the early 19th century but in my story’s world the Napoleonic Wars are still ongoing as the Coalition didn’t defeat Napoleon at Waterloo. The addition of the ‘at war with the French’ element (which is apparently what I’m calling it now?) also helped me to flesh out my magic system and integrate this ‘kraken’ idea which I couldn’t get firm hold on during previous attempts at NaNoWriMo. Basically, the French have discovered how to harness magic, the British haven’t, so obviously it’s putting them at a disadvantage in warfare and the government is putting pressure on various factions to come up with a solution of how to mine and harness this magic effectively so that the British can hold their own in battle against the French. I worked out a hell of a lot of backstory for one of my male MCs which explained how he could be from a well-to-do family yet require him to have a profession of his own and be financially independent from his family. No spoilers but obviously his dad was involved in a shady scandal that sent the family name into disrepute. I decided I needed to entirely drop one of my male characters because he didn’t really serve a purpose. I fleshed out one of my French characters who is a journalist in England writing under a male pseudonym, obviously – the additional of the whole ‘at war with the French’ element means I can do some interesting socio-political things with her too, or so I hope! My Pinterest board for ‘The Upper Deep’ got bigger, including a brand new board with an entirely different “Dark Queen” story idea which has been plaguing me ever since I saw this Paso Doble on Strictly Come Dancing last year. I allowed myself to write when I felt like it and not write when the inspiration well was just well and truly dry as sticks. This meant I unofficially “quit” NaNoWriMo for yet another year only 6 days in but, do you know what? I’m not even really that ashamed about it because I think I managed to achieve a lot more constructive progress this year that I have in previous years, despite what the lacklustre word count may suggest. This is what I will take from NaNoWriMo 2017 and hopefully into working on my novel more in 2018. 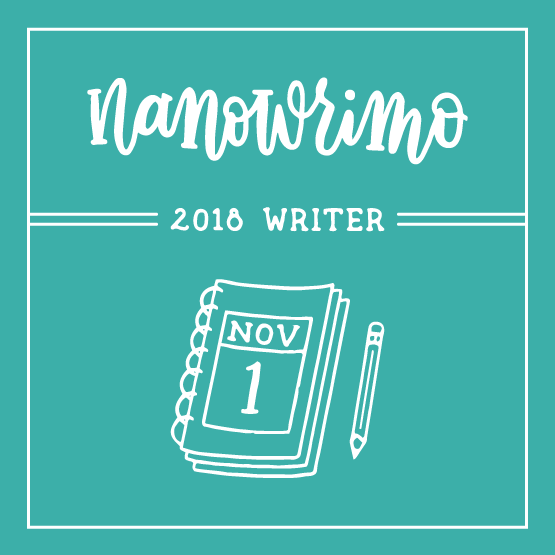 Did you participate in this year’s NaNoWriMo? What was your novel about and how did writing go this year? Did you achieve all that you wanted to? Or, have you never tried NaNoWriMo or don’t think it’s really for you? Comment below and let’s chat writing and story ideas! Well, my friends, November is on the horizon again which, for those of us who are so inclined, means only one thing – National Novel Writing Month. Yes, it’s that time of year when tens of thousands of writers get together online, all in the name of the ambitious task of writing 50,000 words – 1,667 words per day. It doesn’t sound like that many words, when you put it like that – after all, every great novel started with an author just putting one word in front of another, bit by bit, until they had told the story they set out to tell. In theory, it’s a very logical process; in practice, it feels like anything but. Once again, I have decided (probably foolishly) to participate in this year’s NaNoWriMo despite not having planned out anything of my novel. Well, that’s a lie – I am now on my third attempt of writing what I have tentatively called ‘The Upper Deep’ for the last two years, a story inspired by Tennyson’s poem ‘The Kraken’, so I have some ideas by this point. (Check out my Beautiful Books 2016 post if you’re curious!) But I have no plot, really. I have a concept and I have characters and you’d think that would be enough to be getting on with but, as previous years have proven, it really isn’t enough. Roughly speaking, NaNoWriMo participants describe themselves as ‘pansters’ or ‘plotters’, with the latter (lucky) group plotting out their novel ahead of November, probably with detailed chapter summaries and planned characters arcs and all sorts of snazzy things, and the former group winging it all the way and seeing what story comes out when they sit down to write on 1st November. Of course, as is so often the case in this world, there are also those who don’t fit neatly into either label – they are ‘plantsers’, a hybrid mix of the two camps and I suppose, to some extent, that’s what I must be. So, what is my plan come 1st November? I will be writing, for the third time, my ‘The Upper Deep’ story but, as I wasn’t organised enough to do Preptober, November will basically (hopefully) be a mix of prepping my story and then writing some of it. I plan to properly invest time into prepping my novel, rather than just getting by on little snatches here and there when I remember in October, as I ordinarily do. So, every word I write of plot ideas, brain dumps, character profiles, and so on will count towards my total. Am I doing NaNoWriMo correctly? I don’t know, but at this point, I don’t really care – for me, NaNo stops being fun when I feel undue pressure to keep writing even though my writing isn’t going anywhere, and I want so badly to keep the fun up for the entire month, rather than throwing in the towel halfway through the second week. With that in mind, fellow writers and/or NaNoWriMo participants – if you are reading this and have ANY kind of planning or plotting techniques or advice, please do share them in the comments below because I’m struggling to tease out a plot structure from my overall, overarching idea. I have the big picture, but none of the necessary little bits that will get my story from beginning to end. If you have resources or techniques or books that would help me to help myself work out this idea then I would be immensely grateful if you shared them with me. And in the meantime, I’ll be getting ready for properly working on my novel come 1st November because, in the end, that’s what NaNoWriMo is really about – allowing yourself the time every single day to work on a project you’re passionate about. Are you participating in NaNoWriMo this year? Please do say hi in the comments if so, and we can help cheer each other on throughout the month, or why not add me as a buddy on the site? Are you a plotter or a panster? And do you have any winning techniques to plot and outline novels? Sometimes in life, you have to let go. Sometimes in life, you have to accept that A Thing is categorically Not Happening. Sometimes in life, you just have to admit that you’re not going to continue doing something because trying to do it is actually making you mildly miserable along the way. Sometimes in life, you have to give up. Yes, my friends, once again I have given up on NaNoWriMo before I’d even reached the mid-way point. If we’re being honest, I gave up last week, but I’ve been writing dribs and drabs of text here and there in order to be able to truthfully update my word count every day (gotta have that streak!). However, I’ve just reached a point where I am categorically Not Having Fun. And NaNoWriMo is meant to be fun, right? Don’t get me wrong, I know it’s also hard work – writing a novel is never going to be remotely easy – but the fun element is meant to be included somewhere in that, right? And when it genuinely stops being fun, why continue putting yourself through the slog every single day? Why put yourself through the constant internal argument you have with yourself where one voice is saying ‘I can’t write, I’m not a writer, I’m not good at this, I don’t want to’ (this voice is the whiny one) and the other voice is saying begrudgingly ‘come on, just write 100 words, you can write 100 words in no time and you’ll feel better about it’. There’s only so long that second voice can continue to reason with the whiny brat that is the first voice. When I do get into the swing of writing and everything is working and my characters are conversing of their own accord, yeah, okay, that’s a lot of fun and it feels great. Hey, look at me, I’m creating, I’m writing, I can write!! But when I’m forcing myself (by way of snacks and treats) to just hit word count every day? I end up feeling like crap about myself, about my story, about everything around me. And that doesn’t sound like a very healthy mind set, does it? I end cranky and down on myself and then feeling like crap because writing (or, rather, procrastinating writing) is taking up all my time that I would normally spend reading and I haven’t read a thing all month etc. etc. I’ve come to the conclusion that, once again, my NaNoWriMo attempt has been abandoned for another year at least. And I’m strangely okay with that. In fact, I feel something like relief, like a weight has been lifted. Because it’s dumb to put this much pressure on yourself if you’re just consistently Not Feeling It. And I still love my story idea, I’m not giving up on that, it just might take me a little longer than 30 days to truly do it justice. That’s fine, that’s good, even. And, hey, I might start writing again tomorrow, I might start writing again next week, or next month, or next year, and that’s honestly okay. For the sake of my own mental health and self-esteem, that’s okay. I salute you. I wish you all soaring word counts and delightful fun with your novel. You can do it, go smash it. Well, it’s November 1st once again… seriously, where the hell did October go? I swear I blinked and missed it! Since it is November (though I’m still finding that hard to believe), it’s that time of year again – the time when this foolish girl who was never much of a writer tries to write 50,000 words because a bunch of people on the Internet are also doing it. It’s NaNoWriMo time! In case you’ve somehow managed to avoid the phenomena that is NaNoWriMo, let me briefly explain. National Novel Writing Month is an annual event in which people pledge to write 50,000 words in 30 days… or die trying… ok maybe not die. Roughly speaking this means writing 1,667 words a day, which doesn’t seem too difficult on the surface but when you haven’t written a single word for 5 days, well, those daily word goals stack up quite quickly. (I know this to be true.) The key with NaNo always seems to be making time – a novel isn’t going to write itself after all! And I’ll bet quite a lot of people would put “write a novel” on their bucket list. Well – now’s the time! This year I’m going to be attempting to turn last year’s failure into at least a half-decent attempt at a novel, so I’m reworking the same idea, but I’ve had a year to occasionally think about when I’m daydreaming on the train. And since it is the first day of NaNo and all is still optimistic and exciting, I thought I would share a little bit about my novel via the wonderful Beautiful Books link up at Paper Fury. I have answered a few questions below to help “Introduce My Novel” which all sounds rather grand! 4 main things: I love the pirate bit of the Stardust film; I have a penchant for steampunk and gas-lamp fantasy (though I didn’t know that’s what it was called when I was reading and loving it); I enjoy the gritty-history/Victorian-y tone that seems to be popular in TV nowadays with the likes of Guy Ritchie’s Sherlock Holmes films, Ripper Street, and Peaky Blinders (yes I know Peaky Blinders isn’t Victorian but just go with me on this one); and I’ve always been fascinated with the Industrial Revolution’s effect on society. So I’m trying to smush all of that together, because clearly I’m interested.